A few years before his experience with the dolphins, Adam Walker was working the daily grind in an office. He would work, eat, and repeat this process every single day, and he was bored of the monotony. He desperately needed a change. Adam decided to make it his mission to become an endurance athlete. Specifically, he wanted to become an endurance swimmer and push his body to the limits to achieve more than a few toaster sales. As soon as this new mission entered into his mind, Adam set about his plan. 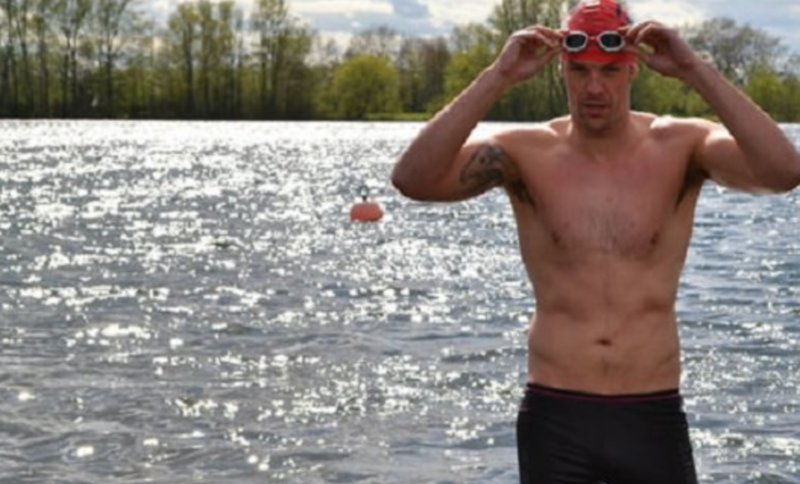 He started training his body to endure long stints in the water without breaks, and he started training his mind to push him through these lengthy processes and allow him to reach the other side of success. Adam Walker grew up in Nottingham, U.K., and had always been into sports. Never did he guess that swimming would bring him a lot of memorable moments in his life. Above all, this incident would definitely top his list of the most unforgettable experiences he would ever have. 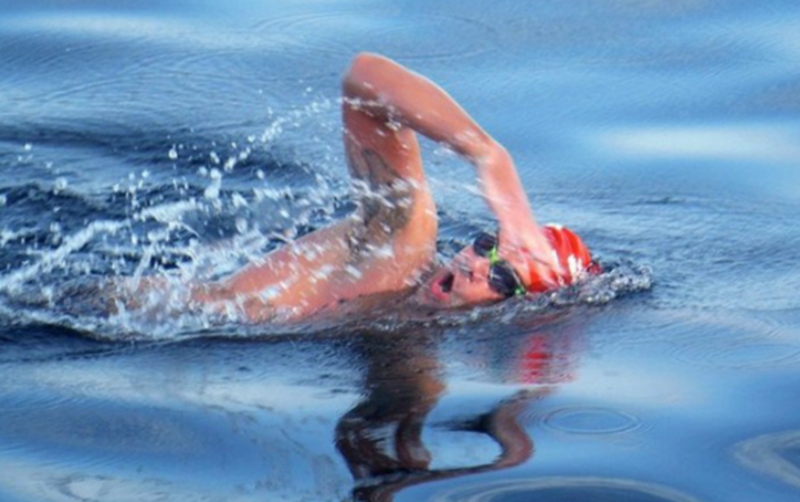 Becoming an endurance swimmer is no easy feat, and Adam Walker soon realized that his journey was going to a long and painful one. In fact, he fell at the first hurdle! 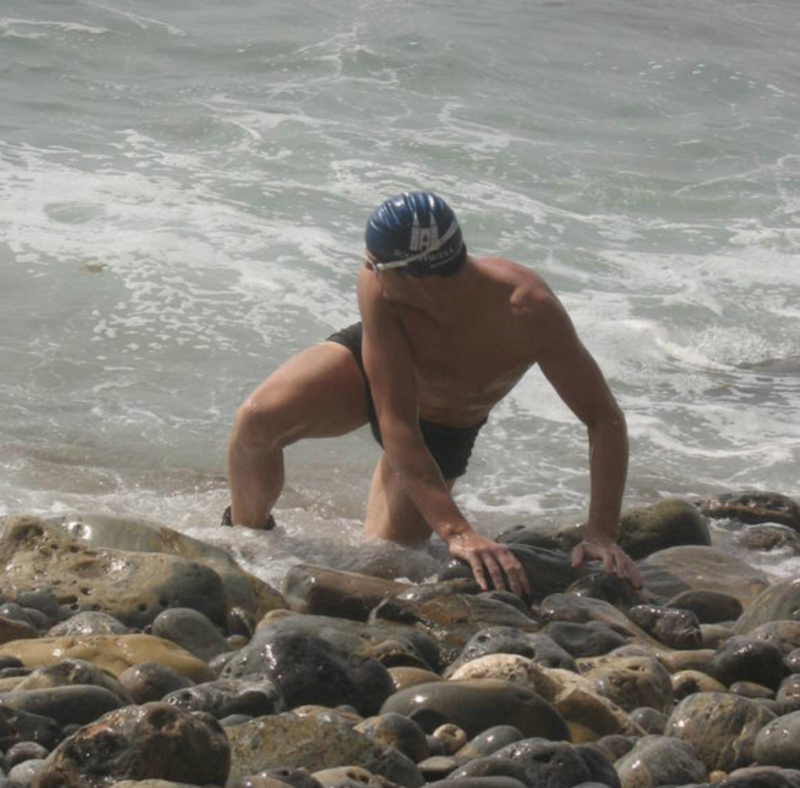 After making his debut into the open ocean, Adam contracted hypothermia and had to take a few months away from swimming to recover. 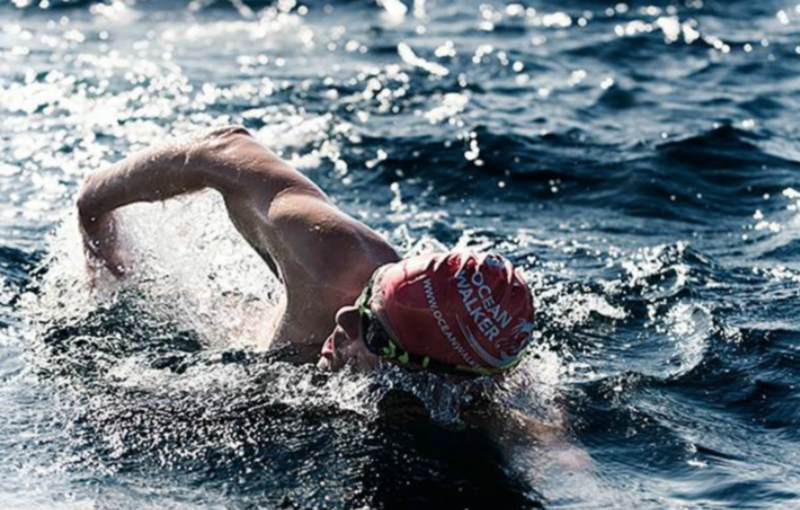 Just after Adam completed his two-way swim of the Gibraltar Swim, the Oceans Seven Challenge was born. 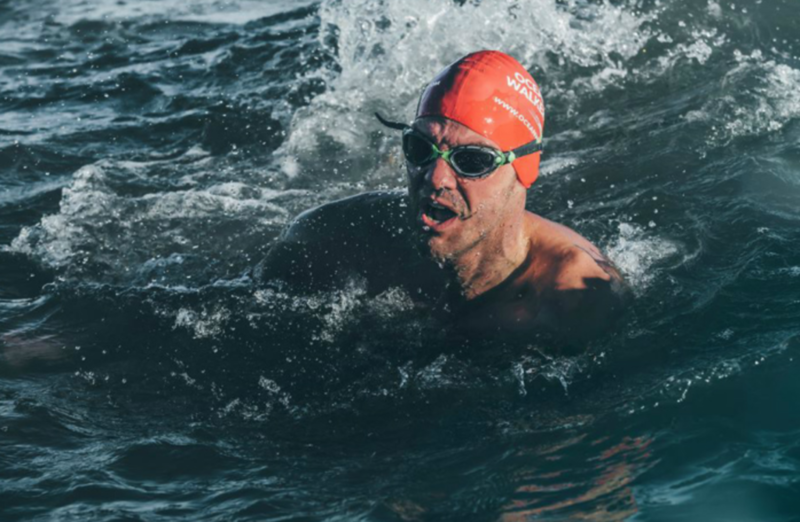 This challenge inspired endurance swimmers from around the world to swim seven open water destinations across the world, including the North Channel, the Cook Strait, Tsugaru Strait, the Molokai Channel, the Catalina Channel, the Strait of Gibraltar and the English Channel. 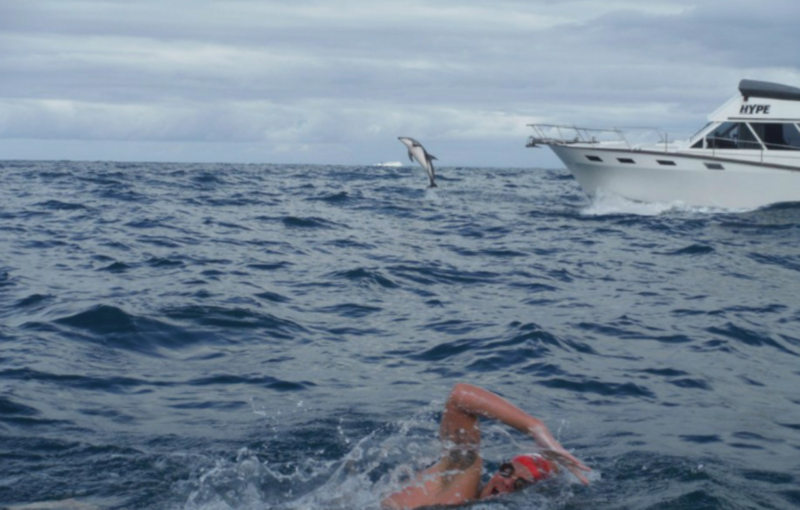 In 2014, Adam set his sights on his sixth mission within the challenge… to swim the Cook Strait between North and South New Zealand. 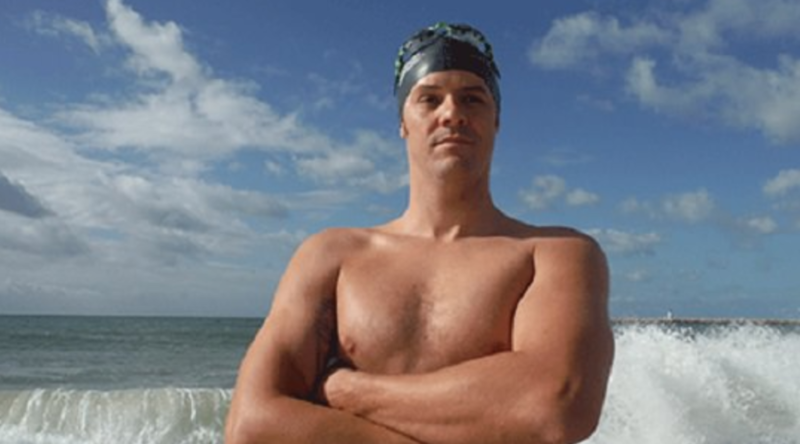 Swimming the open water of the Cook Strait ultimately took Adam a whopping 8 hours and 36 minutes to complete – but that wasn’t the most testing aspect of his mission. 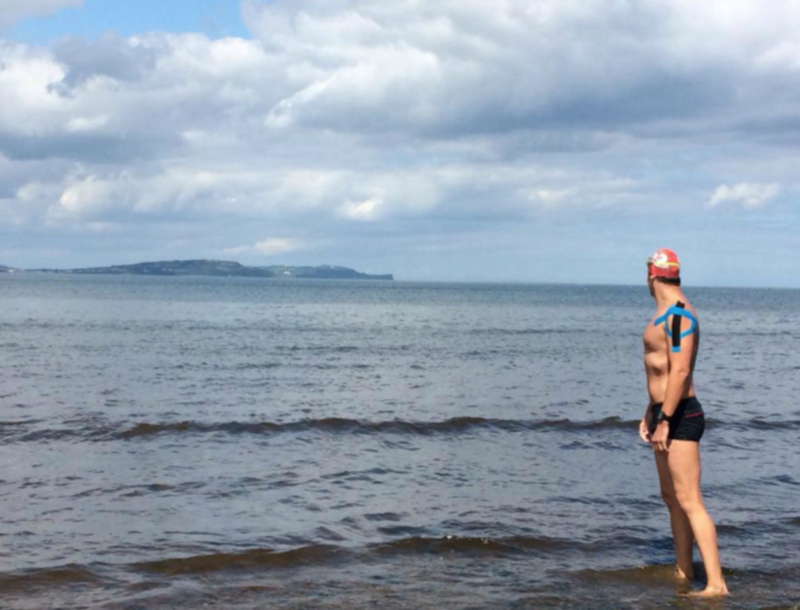 Part-way through his endurance swim, Adam noticed that he wasn’t alone in the water. Adam Walker wore his first GPS tracker for other people to know exactly where he was. Walker still felt a little sick after going in for the second round. His legs were feeling a little jelly and his nerves were getting the best of him. By the time he came to get his second drink, Walker felt like it was finally time to stop holding back and put all of his training into action. His third hour soon came and when he went swimming, an unexpected thing took place. 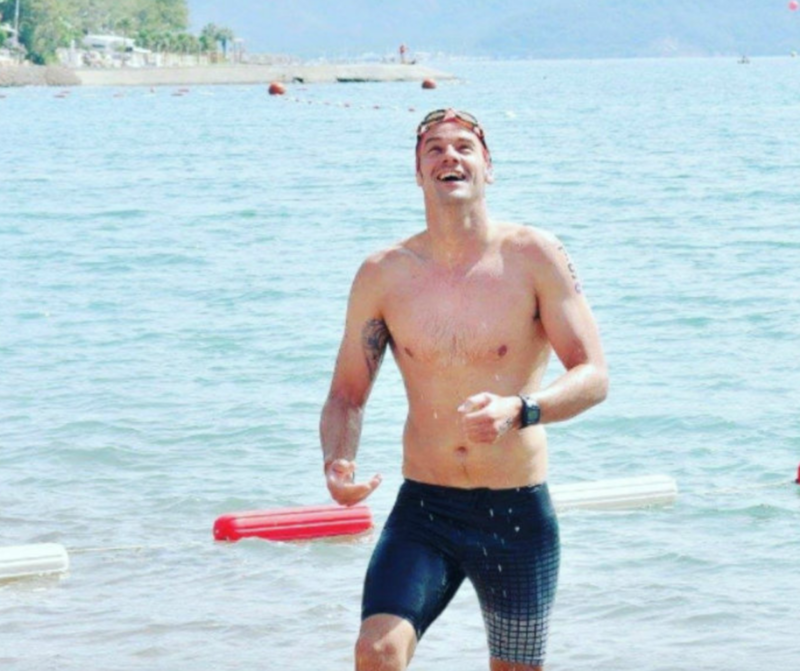 After over three hours of swimming, Adam Walker was soon getting into the rhythm and soon lost the need to stop after every hour while he was swimming. His stomach was fine now and he felt unstoppable. And then suddenly, as he was about to take a breath of air for his next stroke, he saw that a fin surged right past him. He was so shocked to see that this creature was right beside him. He looked underneath and saw that it was encircling him. Beneath the surface, Adam noticed an extra fin he hadn’t seen before. Although he had counted around ten dolphins surrounding him, this fin was different. In fact, the whole creature was completely different. That was because it was a shark! Adam was absolutely overwhelmed with emotion, and couldn’t contain the fear in his body. 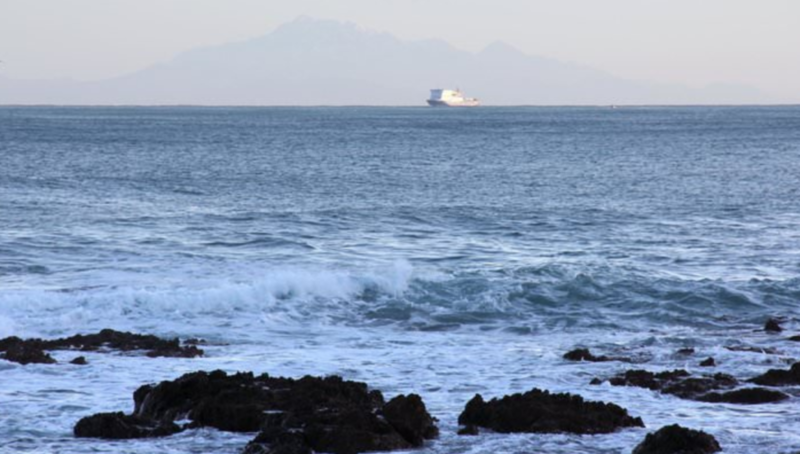 Before he set out on his mission, he was told by an expert not to worry about the presence of sharks, because they rarely made an appearance in the Cook Strait. Unfortunately, they did that day. This sudden appearance left him unprepared. He did not know what to do. He soon felt very scared and did not expect to see this big scary creature next to him. He felt the need to urgently find some safety. But where in the middle of the water could he find this? As soon as Adam looked down at the shark, he could tell that he was on the hunt. The shark was tailing his every move, and skulking through the water as if following its prey. However, there was something stopping this shark from making its move. Although Adam knew that he was hungry and was looking for his next dinner, the shark was staying a clear distance away from him, and he started to wonder why. As he started to think about his next move, Adam immediately realized why the shark wasn’t pouncing. Almost instantly, Adam realized that the dolphins weren’t swarming around him to intimidate him or to harm him in any way. Instead, they were protecting him from the shark! Their actions seemed to pay off, as the shark eventually got bored of his game of shark-and-human, and swam off to find another dinner source. At this point, Adam assumed that the dolphins would leave him to his mission – but they didn’t. They continued to swim with Adam for around another 90 minutes before they swam off. Adam was amazed at the intelligence and compassion the dolphins were showing him, and how brave they were to stand up to the shark. After the event, Adam spoke of his experience with numerous media outlets, including The Sun. During one interview, he noted that the dolphins were swimming so close to him that he would often brush their tails and their fins. Yet, this didn’t scare him. Despite the fact that he was “wedged in,” he “felt very protected” and knew that the dolphins were there to help him. 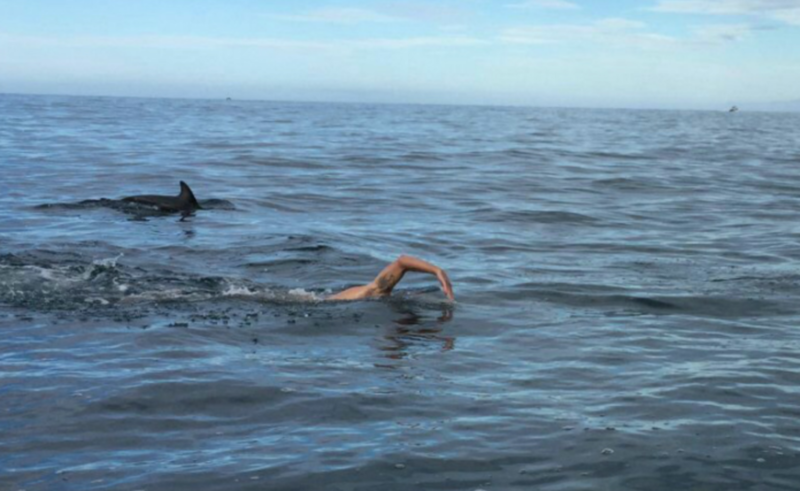 The presence of the dolphins around Adam pushed him even more to complete his challenge. Although he had faced a predator in the face, he had received protection from one of the most intelligent animals on the planet and knew that he couldn’t give up. So, he used all of his energy and all of his might to start swimming faster. 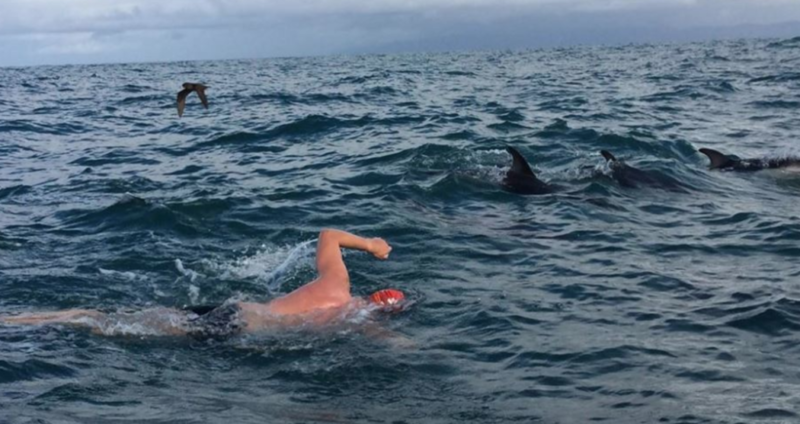 As soon as the dolphins realized that Adam was okay on his own and was swimming towards safer territory, they eventually left him to complete his mission by himself. 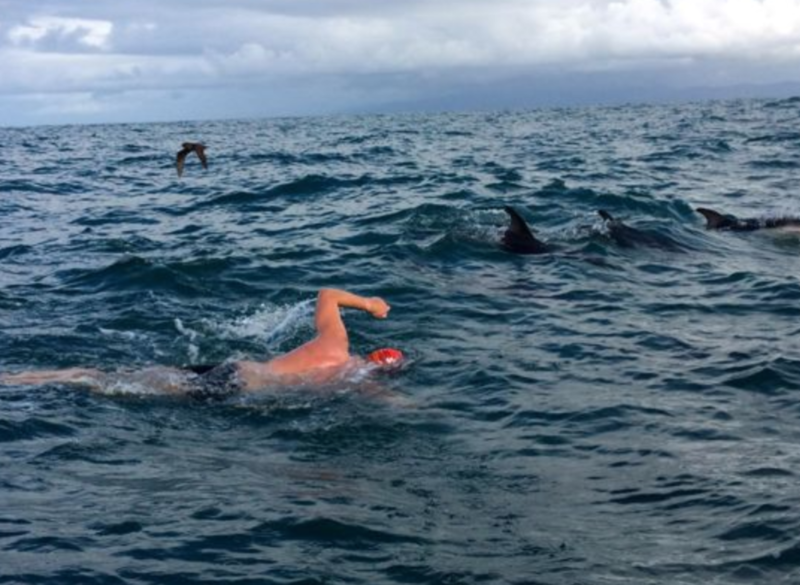 The dolphins did not leave Walker’s side and were a big help in boosting his confidence to perform a good swim. The shark being there did not stop him from feeling exhilarated. What happened next? Since the incident, many people have asked Adam why he thinks the dolphins were there to save him – and he has the perfect response. 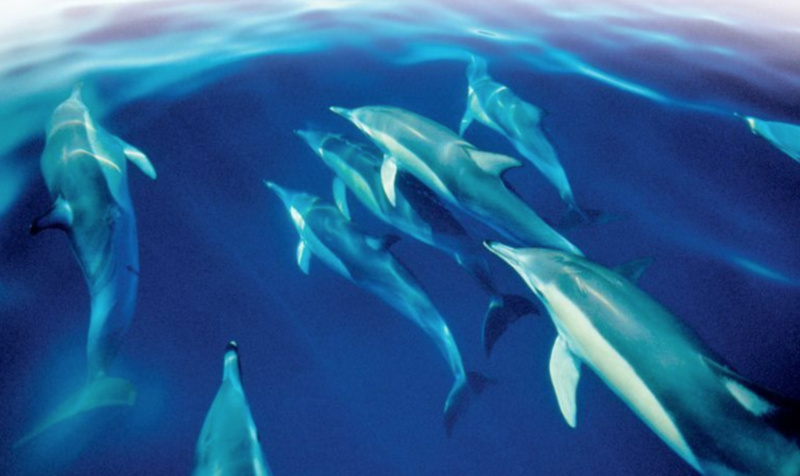 After researching dolphins, their characteristics, and their talents, he learned that dolphins actually swim a whopping six times faster than professional 50m sprinters. 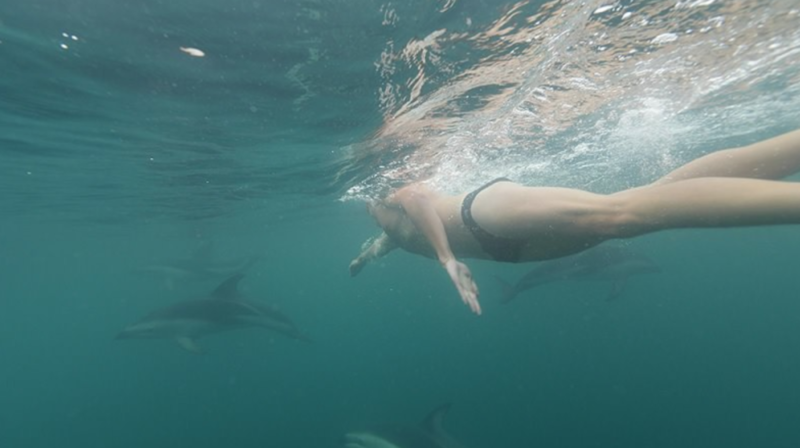 Adam was swimming at a much slower pace than that, which meant that the dolphins forced themselves to slow down their swimming to ensure he was safe at all times. That is an experience and a memory that he will never forget. 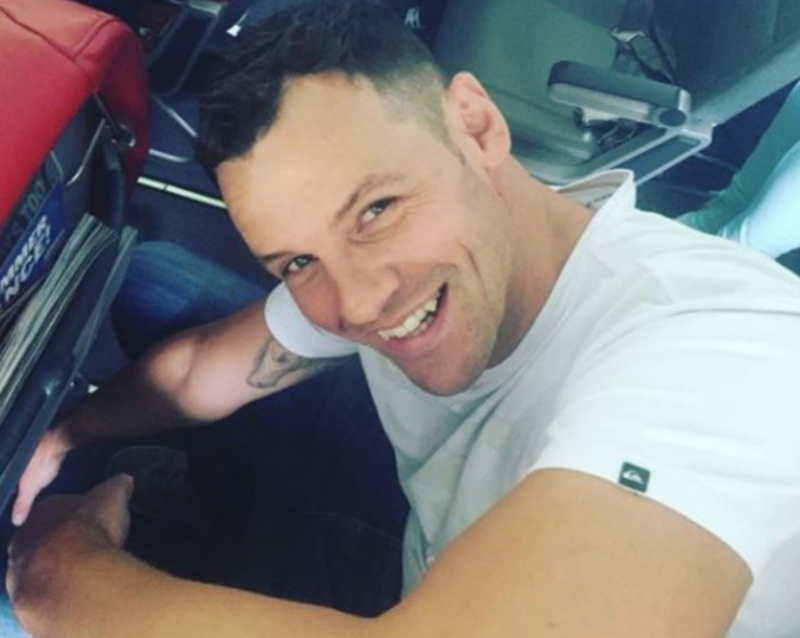 After Adam experienced a life-changing moment, he was keen to share his success with his followers on social media. He not only updated them on his mission and the fact that he had completed another one of the Oceans Seven challenges, but he also updated them on the dolphins, and how he had brushed with death. 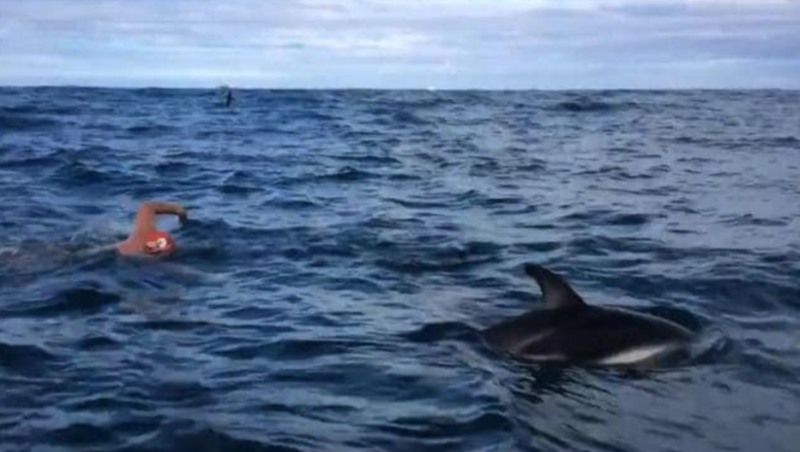 He put his success down to the intelligence and the courage of these dolphins, who protected a stranger in their ocean just because they could. Naturally, his fans were overwhelmed by his story. 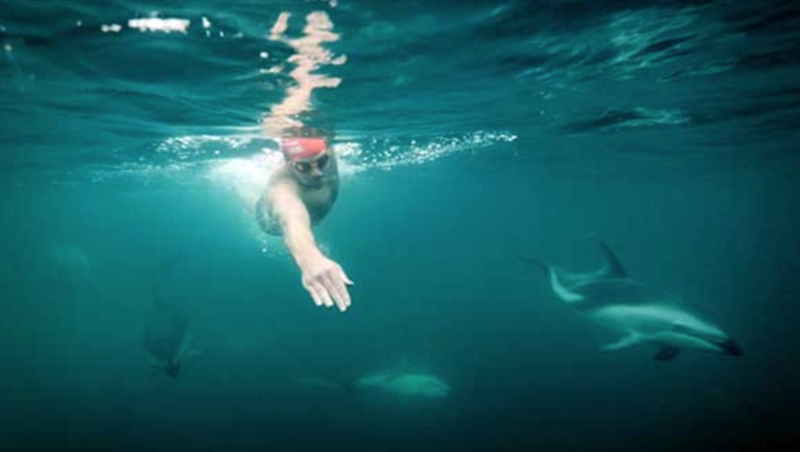 Today, it’s been over four years since Adam Walker took on his sixth Oceans Seven Challenge and battled with sharks in the Cook Strait. Since then, Adam has completed all seven challenges! In fact, he became the first British person to ever complete it. 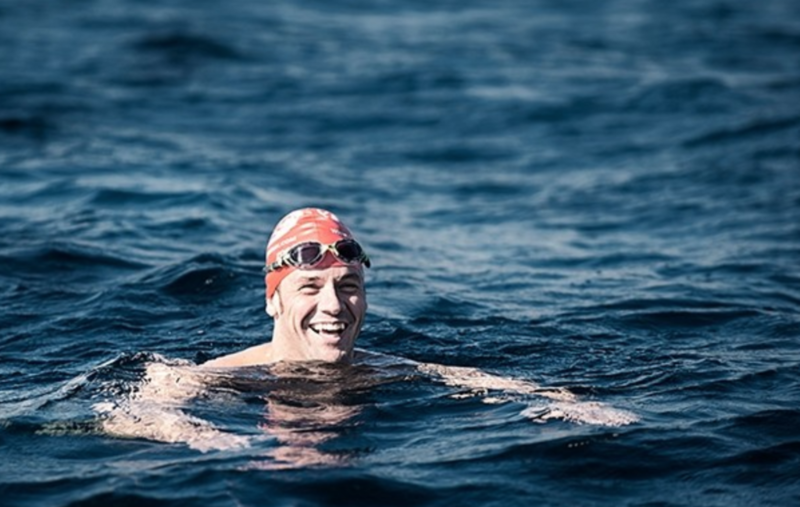 As if that wasn’t enough, Adam has also bagged himself numerous other achievements, and has also become the first Brit to swim from Spain to Morocco, as well as the first Brit to swim the Tsugaru Channel and the Molokai Strait! 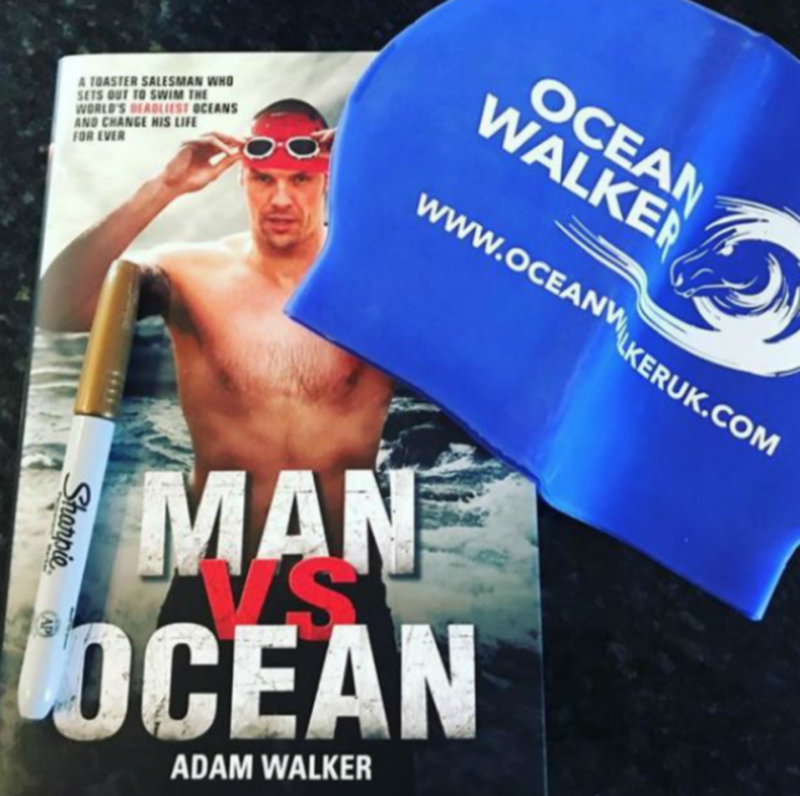 Although Adam Walker plans to continue his career as an endurance swimmer, he has also used his fame and talent to open up new opportunities. 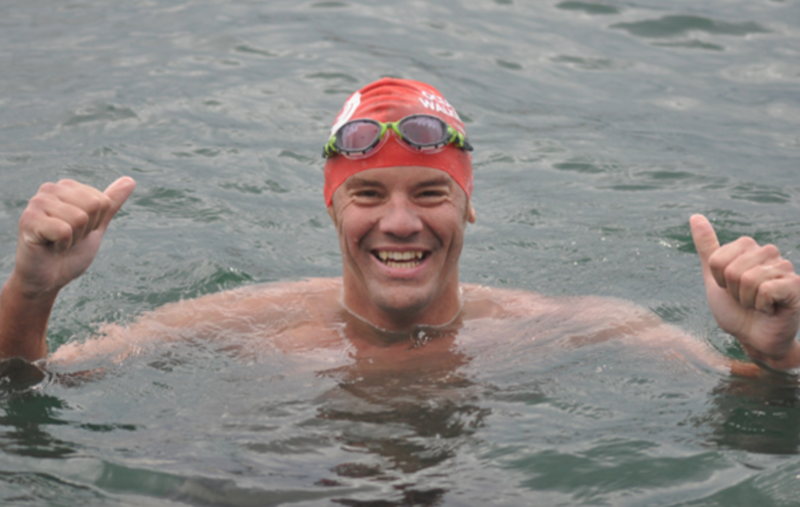 He now travels the world as a motivational speaker and shows his documentary to fellow swimming enthusiasts. 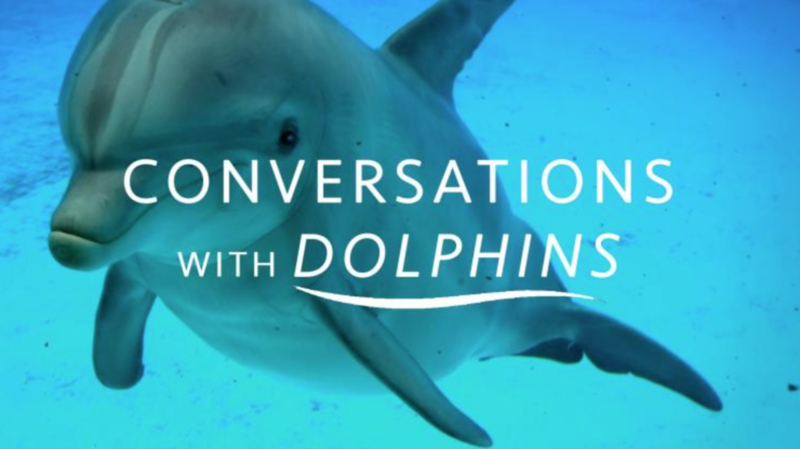 Yes, Adam has made a documentary about his time in the Cook Strait with the dolphins, and has called it “Conversations With Dolphins.” Perhaps this movie will inspire the next generation, just as Adam was inspired all those years ago.